Do you have a cluttered drawer that needs some help with organization? Are you frustrated at your work desk with pens and clips all over the place? If yes, then a recycled organizer compartment may help you to be more organized whether it's for your drawer or your desk. This simple tutorial costs almost nothing but only 20 minutes of your time. Firstly, you will need to have at least one empty cereal box. You can use any sized box as long as it fits the drawer and your needs. Flatten the box and cut open one side of the box. 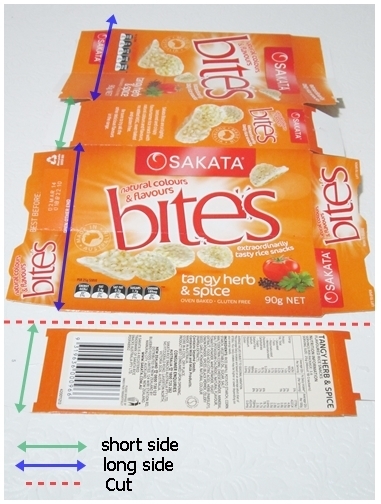 Pick one of the shorter edges and cut it off from the box (see image above). You will need to fold the long sides to half. Measure the mid-point and mark a few points. 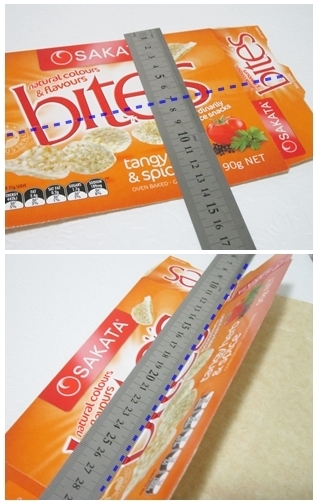 Align the points with a ruler and lightly draw a line. Follow the line and fold it in half where half of the inside is now facing outward. Repeat the same for the other long side. The short side (middle section) will now become the base of the organizer. Place the base with the outside facing downward and fold along the creases on the side. Close up the opening using double-sided tape or appropriate glue. 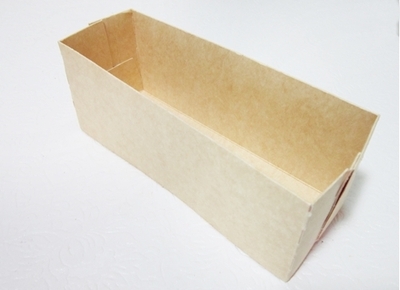 Turn over the box with the bottom facing upward, seal the side with a strip of double-sided tape. I wouldn't bother to wrap up the bottom as it is not visible when it's positioned to face down. It's done! Fast, easy and no wrapping required. It's also a great art and craft activity for kids to enjoy. Never too young to get organised. They can even decorate the compartment on the blank cardboard. 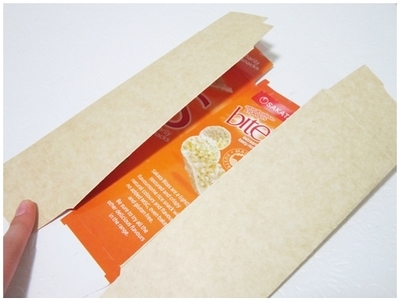 You make more of the compartments if you have more empty cereal boxes. Simply joint them together and become a drawer organizer for organizing your jewellery, accessories and personal belongings. It can also be used as a letter holder or stationary holder, as well as storing receipts and business cards. The Possibilities are endless. 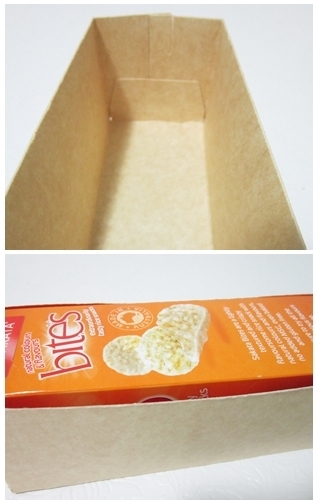 So, next time don't throw away your empty cereal box, try this tutorial and see if it works for you. Who are the inspirational women in your life? Where to Shop for Kitchenware?